A close-up photo is what is needed for the rose hips to show up. 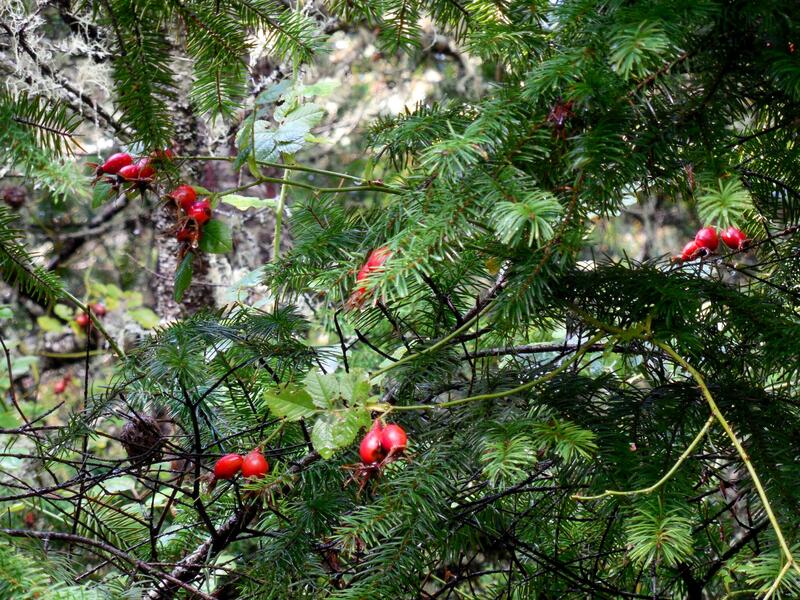 While walking in the woods around the house looking for mushrooms, I was surprised to find this fir tree with a wild rose bush intertwined high in its branches. It is a little early for Christmas decorations to be going up, but that is exactly what I thought of when I saw these two plants growing together. There are a number of wild rose bushes growing around here, and I encourage them to stay. This particular rose bush is growing exceedingly tall, perhaps because (a) it has been left alone for a long time, and (b) it has grown up as the tree has grown and a very long stem has developed. This is at least a 30-foot tall Douglas Fir tree, about 30 years old. In the US Douglas Fir trees are synonymous with Christmas trees. There are many Christmas tree farms in this state, though most are farther north where it rains a bit more. Categories: Uncategorized | Tags: bush, christmas, douglas, fir, hips, rose, tree | Permalink. We’ve had a number of days of good rain and the ground is now quite wet, so it is mushroom time! 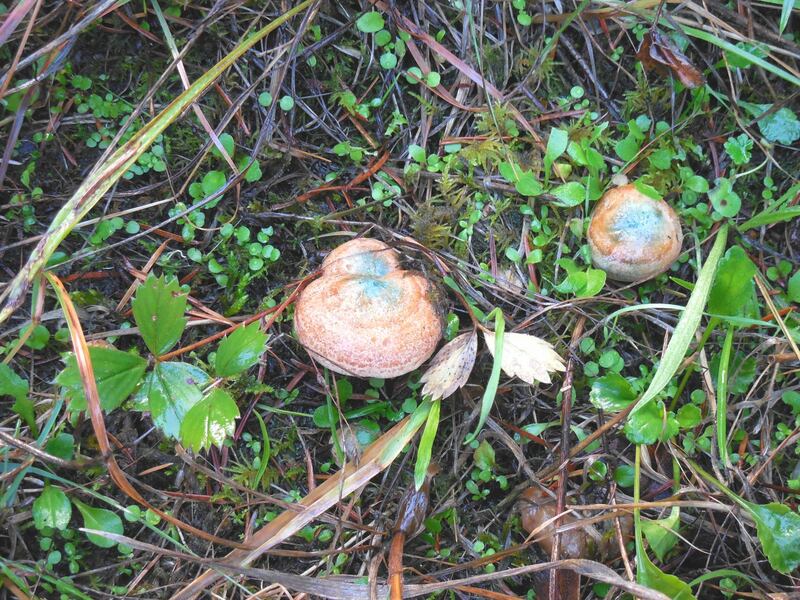 At higher elevations, even nearby, people hunt chanterelles and morels. I have traded pottery for chanterelles in the past, and absolutely loved my part of the bargain. You know when those are in season, as the mushroom buyers put up their signs in the small towns. Wish I knew the names of these particular mushrooms, since I found them on a walk in the woods around the house. Until I am mushroom fluent, I know better than to taste any of the ‘shrooms on my land. 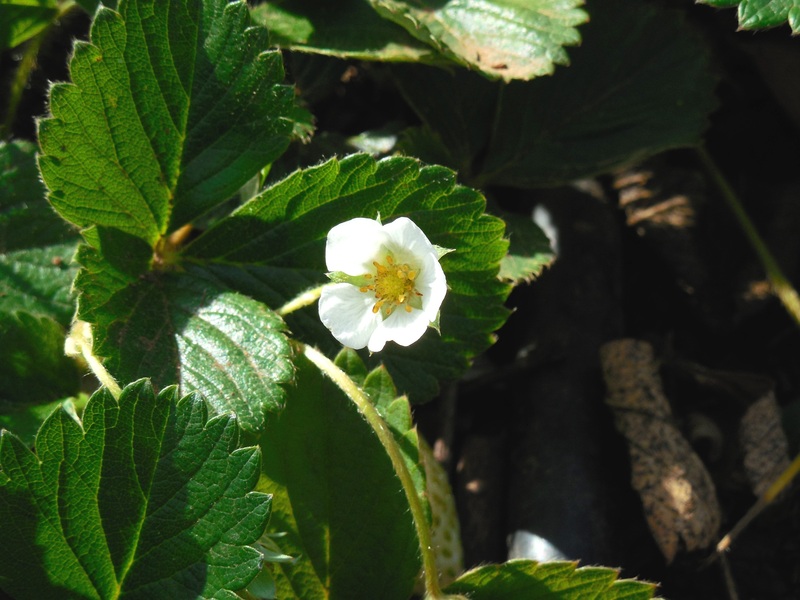 But it is fun to hunt and see how many different varieties one can find. 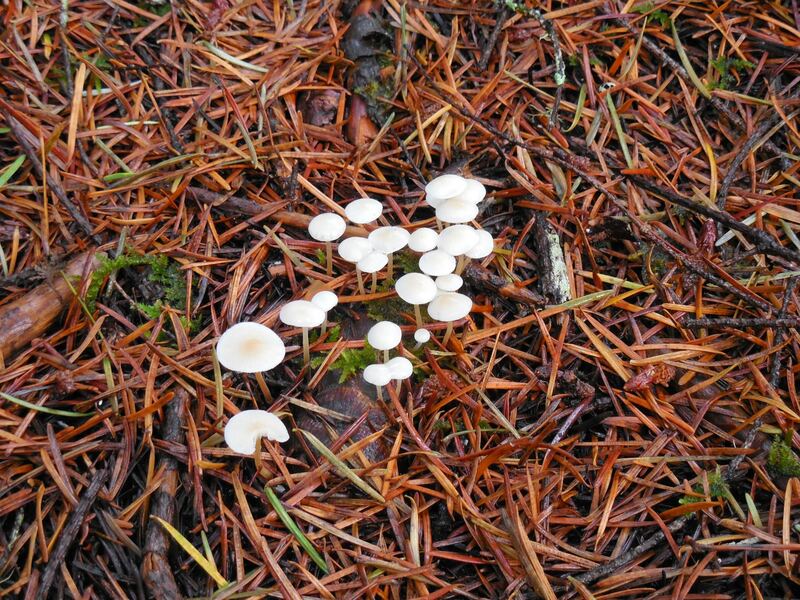 I did not see any ‘fairy rings’ of mushrooms on my walks today, even in the usual places. They must show up at a different time of year. The electric power was out for about six hours yesterday evening into the night. Since there was no television or computer access, entertainment was limited. Made me think about times long ago before modern conveniences. How people used to tell stories in the nighttime firelight. Like tales of fairies who lived in the woods, or scarey stores of witches and goblins, or imaginative explanations of why the stars are in a particular arrangement. Makes television almost sound boring by comparison. 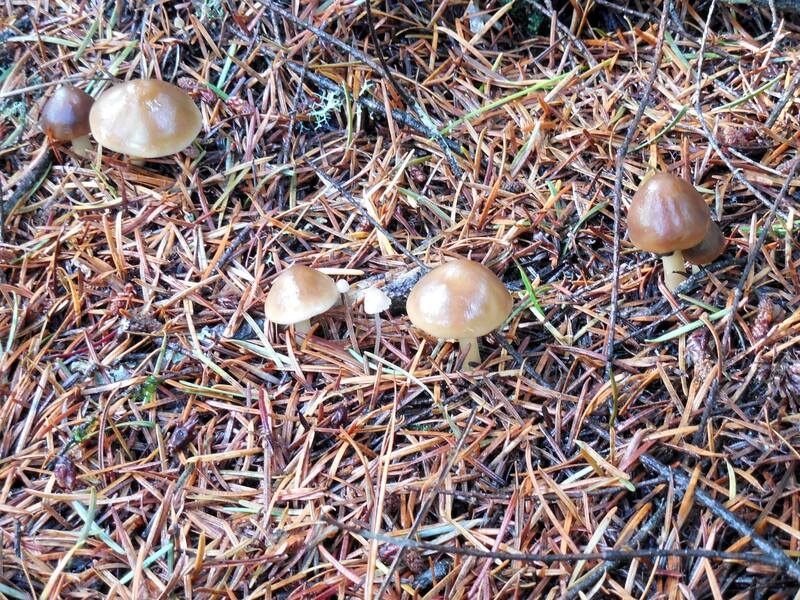 Categories: Uncategorized | Tags: 'shrooms, chanterelles, fairies, fairy rings, goblins, morels, mushroom, rain, scarey stories, stories, tales, television, witches | Permalink. 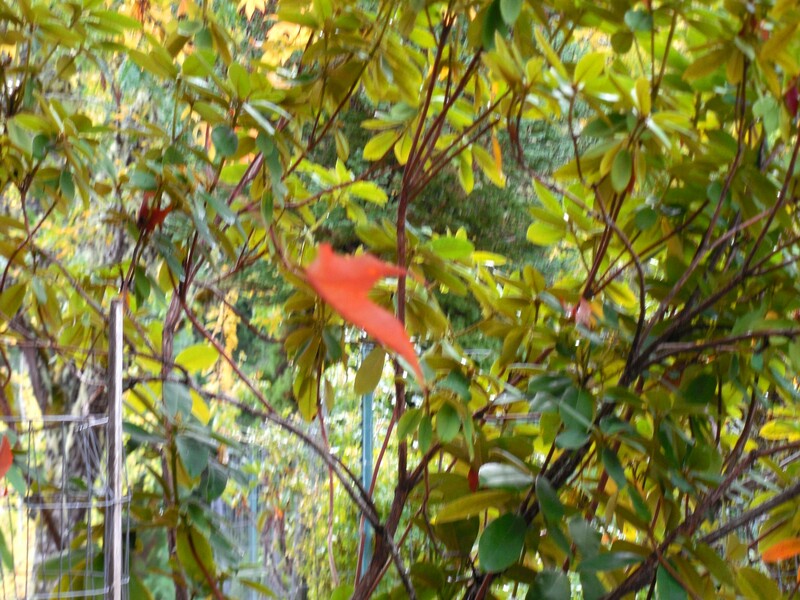 Today I looked outside my kitchen window, and saw a maple leaf floating around, but it never touched the ground. As I watched it dancing around from side-to-side as well as up-and-down, I figured out what was going on. It was entrancing, but I kept my cool, grabbed my camera and took a number of photos. The leaf had to be caught on a spider web. 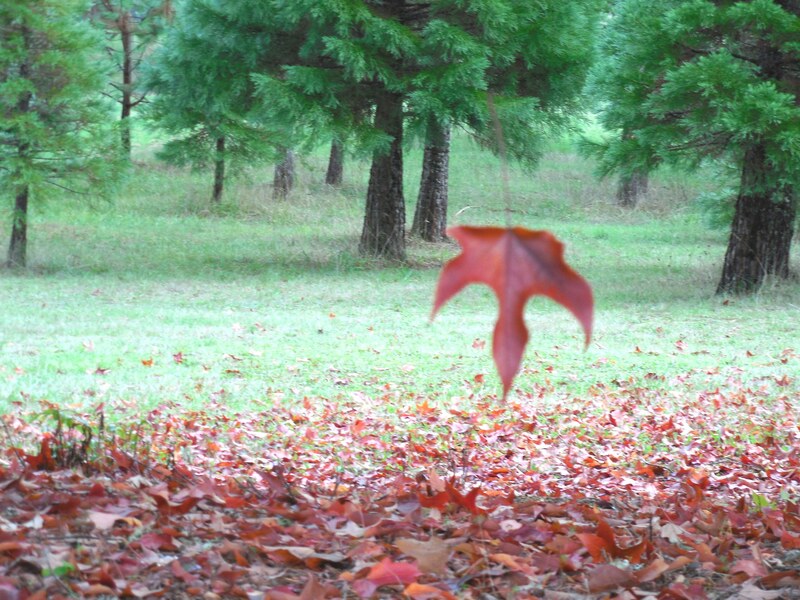 I couldn’t bear to free it from its tether, because I had never seen a leaf snared like this and did not want it to end. We have run into so many spider webs when walking through the trees here. You almost need to walk with your hands and arms in front of you moving around, or you end up with webs in your face and hair! Categories: Uncategorized | Tags: dancing, floating, leaf, maple, spider, sugar, trees, web | Permalink. 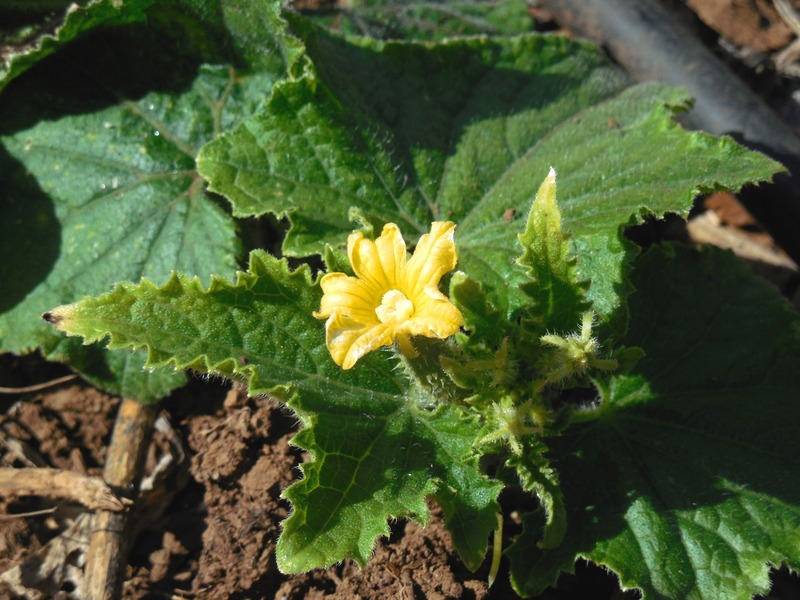 These cucumber, strawberry and green bean flowers will never go to fruit. It is way too late in the season, a lot of rain is due in just a couple of days. Not long after that our first frost will occur. 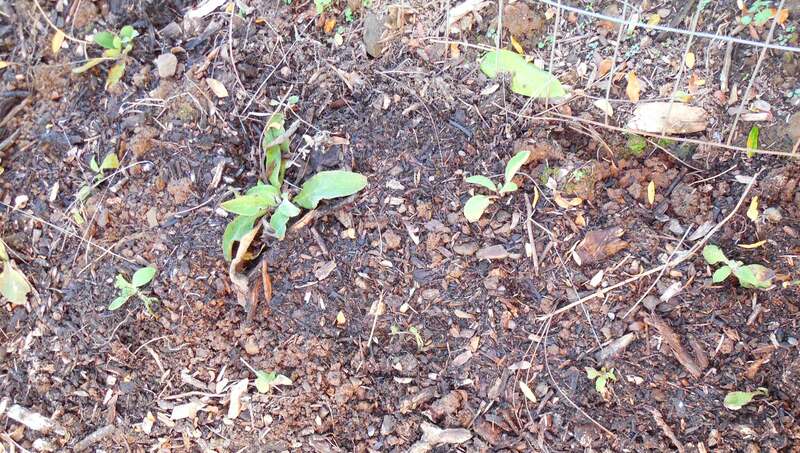 In the meantime, these plants are doing their very best to propagate themselves, in the remote chance that global warming is imminent and there will be no winter! Okay, I know plants do not really think like that, but I do know these are example of plants that will keep on flowering until the last bud dies on the vine. 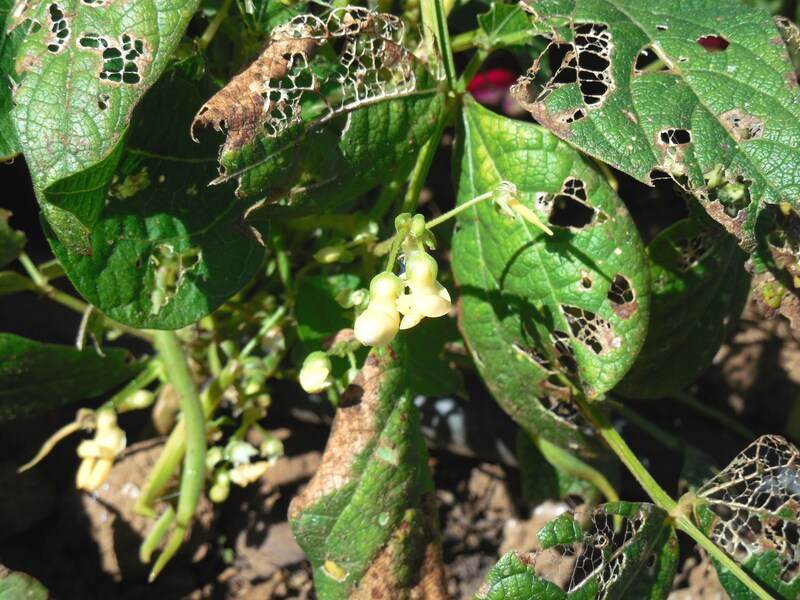 Categories: Uncategorized | Tags: bean, cucumber, frost, global, green, propagate, rain, season, warming | Permalink. We have a large Sugar Maple tree out front of the house. It is just beautiful to watch as the leaves slowly change colors. I’ve been taking pictures nearly every day, as I watch the fallen leaves collect under the tree. One thing I noticed this year, is that the first leaves to fall are on the south side of the tree. 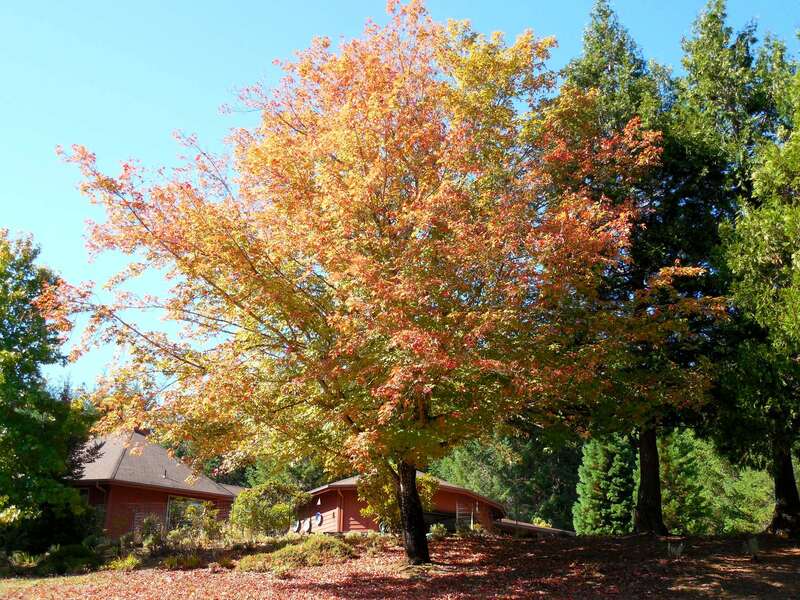 The north facing leaves change color later and stay on the tree longer. We have had pleasant fall weather, so the tree has kept its leaves awhile. If a wind storm or cold snap were to come up, this tree could lose its leaves almost overnight. There is a resident gray squirrel in this tree, who we have been watching from the kitchen window all summer long. No way he will sit still for a photograph, it is a wonder he doesn’t run away as soon as he hears the front door open. I suppose he knows he is safe in the tree, since we cannot climb up there. Recently, we have seen him climb out on a limb and nibble away at something. Later, I looked close at the tree, and noticed the seed pods at the far end of the tree limbs, which must have been the objects of his interest. We saw many gray squirrels when we moved here over thirty years ago, but soon after they disappeared. In just the last couple of years, these animals have returned. This is not the first wild / native animal whose population we have observed apparently growing and ebbing in a cycle. 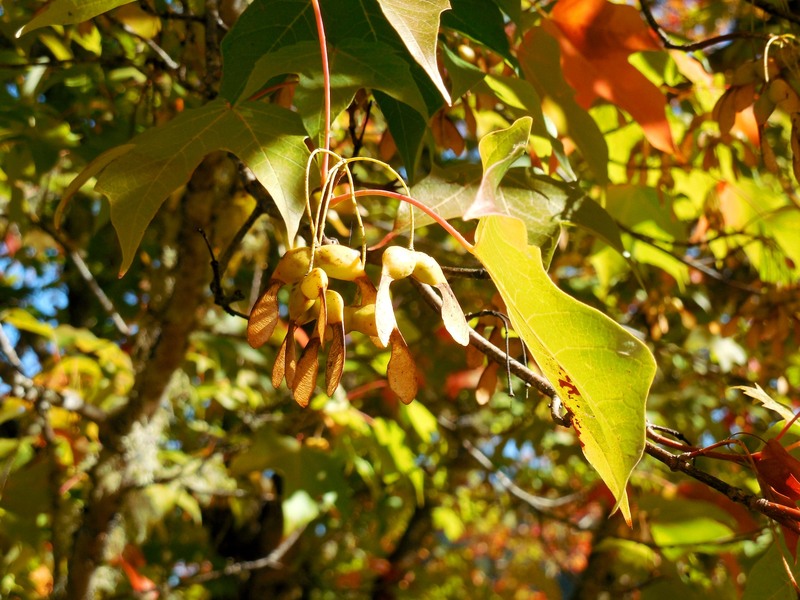 Categories: Uncategorized | Tags: change, colors, cycle, gray, leaves, limb, maple, nibble, pod, population, seed, squirrel, sugar, tree | Permalink. 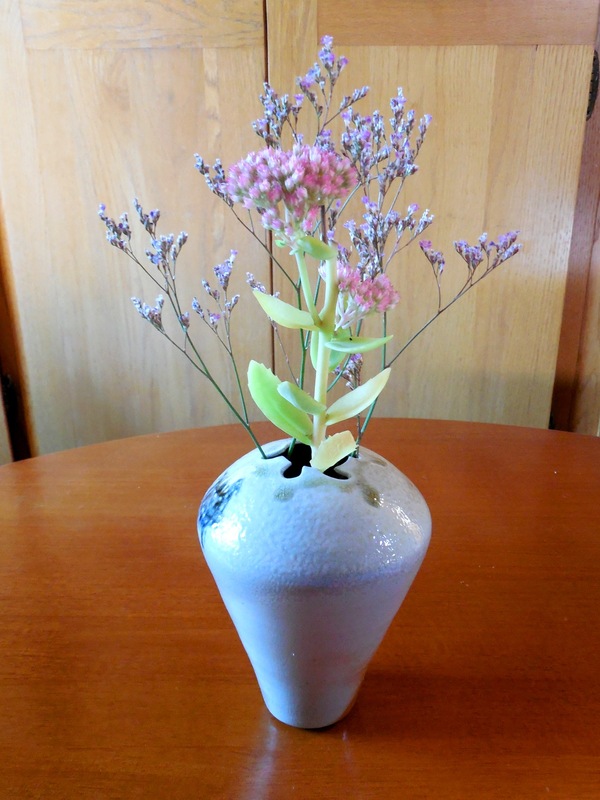 When I first typed up Autumn Joy Sedum for a blog page, I cut one flower stem and put it into the vase above. The surprise for me, is that the flower is still the same light pink two weeks later. I did put a small amount of water in the vase, and because of the small opening at the top of the vase, evaporation is a minimum. While tidying up a flower bed over the weekend, I found a stem of Sea Lavender, on a transplanted baby plant, that had escaped my previous notice. The two flowers do complement each other, I think. This morning, after I photographed the flowers in the above vase, I went outside to see what the Autumn Joy looked like within the garden fence. The maroon-rust of the flowers shows them maturing towards their final color. 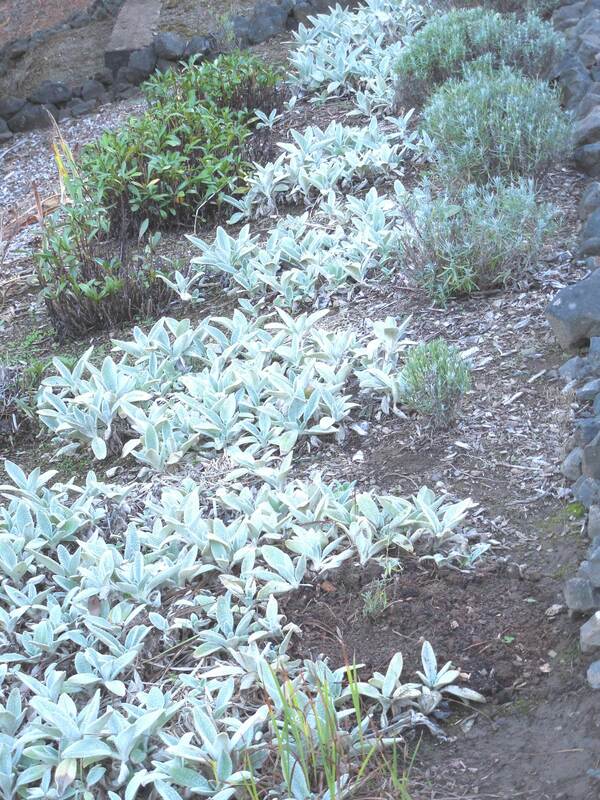 Some of the flowers appear paler, but do not be fooled, it is only the bright sunlight. 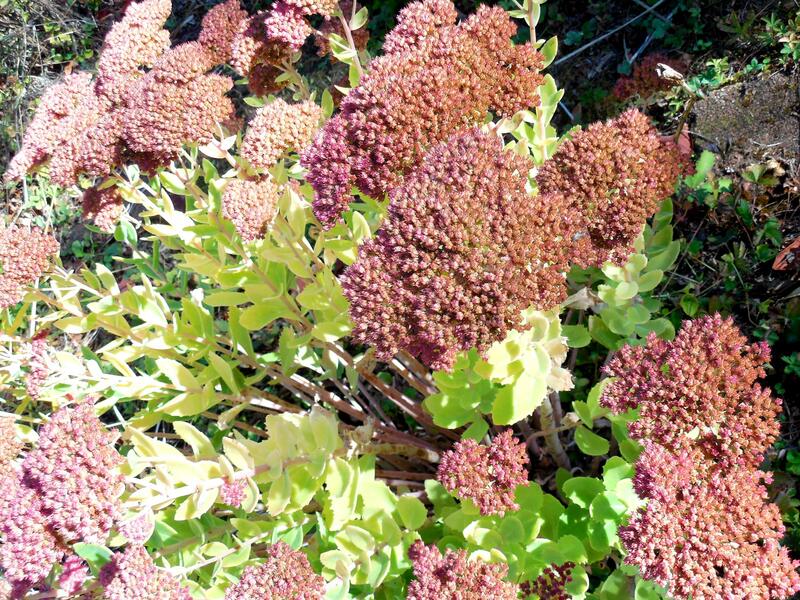 The long-blooming time, and very gradual color change are two of this sedum’s assets. Categories: Uncategorized | Tags: autumn, blog, flower, joy, lavender, maroon, plant, rust, sea, sedum, stem, vase | Permalink.